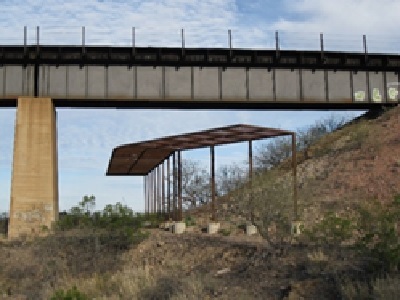 Arizona National Scenic Trail - Construction of a canopy to protect against falling debris from the overhead Union Pacific Railroad line. Arizona National Scenic Trail Phase I & II - Land acquisition. Anza Trailhead Design & Bridge - Construction of a multi-use bridge at the Haven Golf Course in Green Valley. Central Arizona Project (CAP) Trail Master Plan & Trailhead - A Comprehensive Plan for the CAP trail in Pima County was developed. Trailheads were designed for Avra Valley and Tangerine locations. Tortolita Mountain Park Trails Master Plan - Several alignments were evaluated as part of the conceptual master plan for this approximately 40,000 acre park. Wild Burro Wash Trail - Acquired 3.5 miles of trail corridor from Tangerine Trailhead to Marana’s Tortolita Preserve. Ventana Canyon Trailhead - Right-of-way access to Ventana Canyon trail properties. Marsh Station Road Crossing – Right-of-way access to Marsh Station for the Arizona Trail.